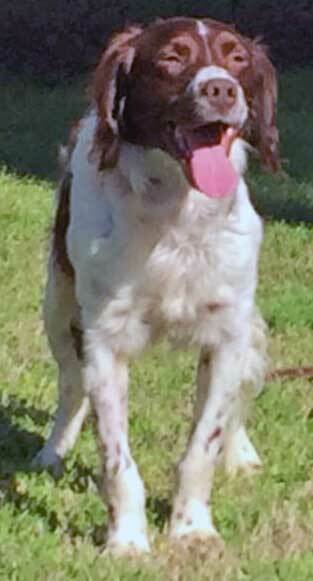 Check back later for new Available Dogs in Alabama! 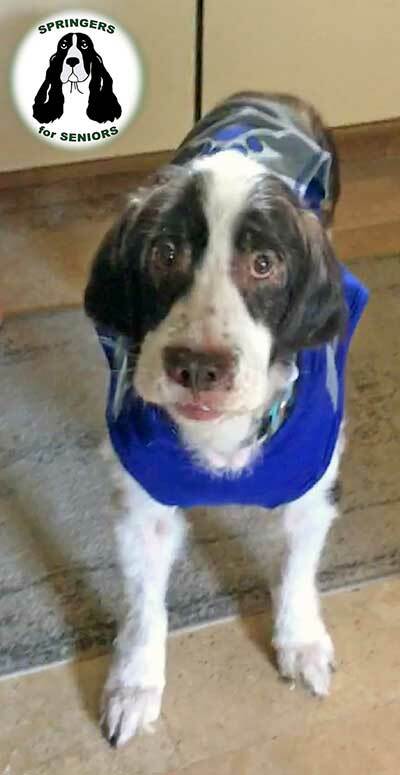 Cooper loves the water, snuggling and car rides. 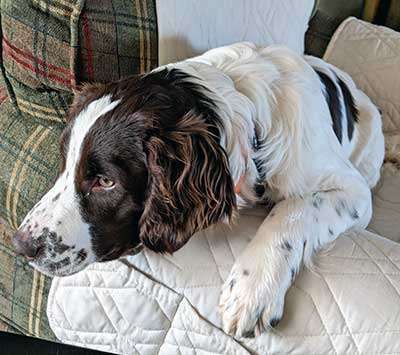 His other favorite activity is to cuddle up and watch TV with his people. 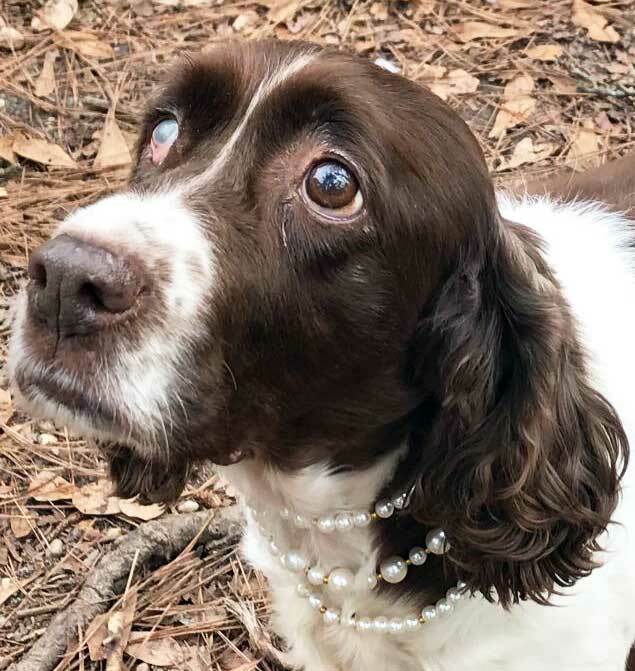 Bama is extremely people-oriented. 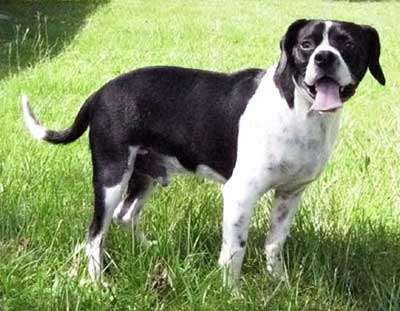 He knows his name and comes nicely on command and seeks out human companionship. 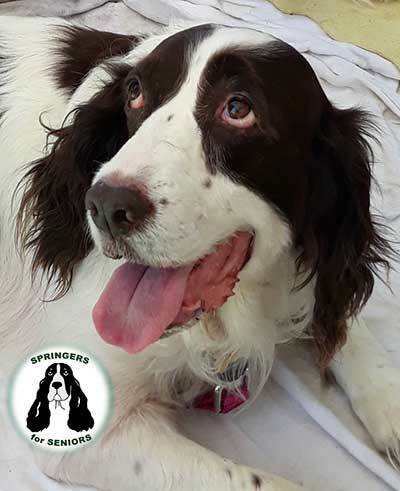 Simone is a sweet, shy young lady with a gentle spirit. 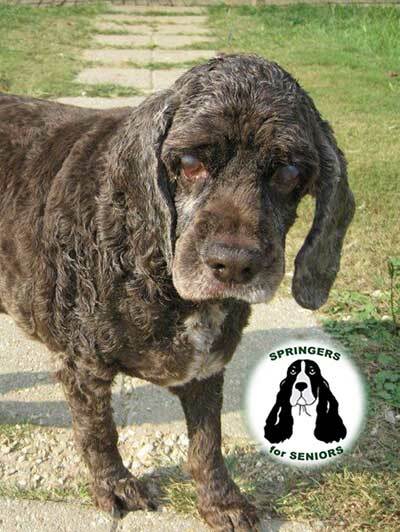 Because of a rough start in life, she needs some extra help overcoming her fears. 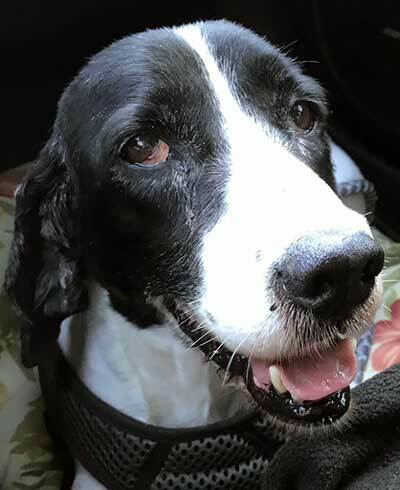 She is making great progress and is affectionate, loving and most appreciative of human kindness. 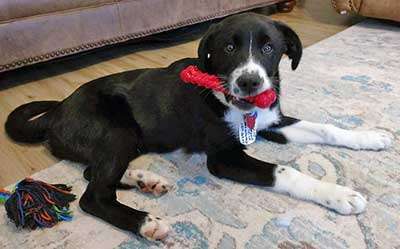 Clark is a sweet, happy, funny young man who enjoys playing with toys and people, a good romp in the yard and a cozy sofa in the house. 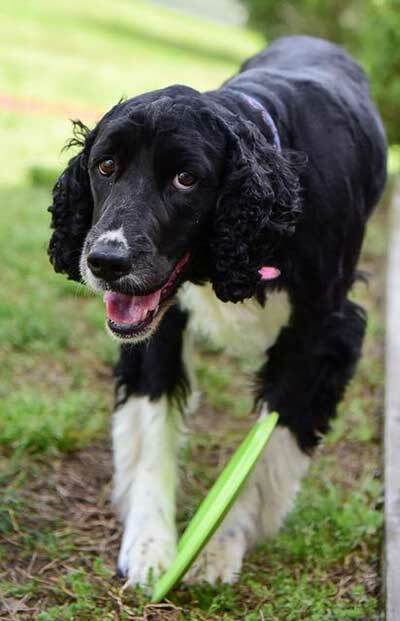 Meet Arribelle, a sweet and beautiful young lady looking for a new human best friend. 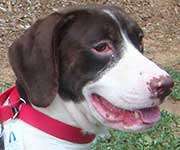 “Arrie” adores people and wants to be petted and loved on constantly. 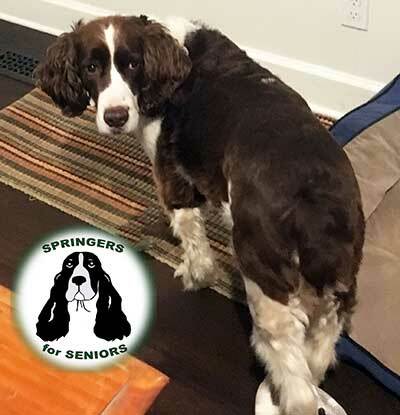 6-year-old Springer Phoebe is blind and 5-year-old Rito, a Beagle, serves as her “seeing-eye dog.” Since they grew up together and Rito helps Phoebe get around, we are offering them as a bonded pair. 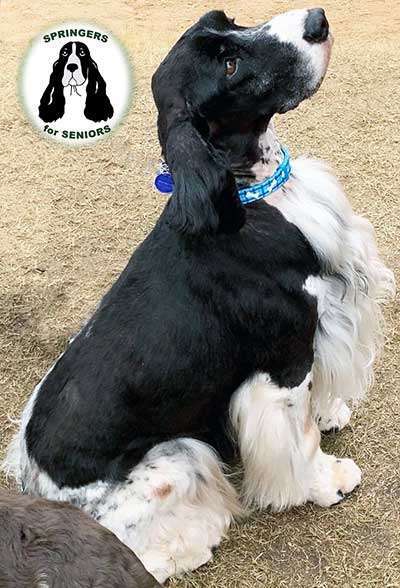 Porter is looking forward to making a fresh start and spending the rest of his life as a valued family member. 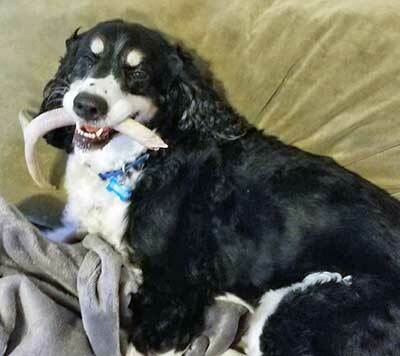 He is ready to settle in, wag his long flag of a tail and live the good life he deserves. 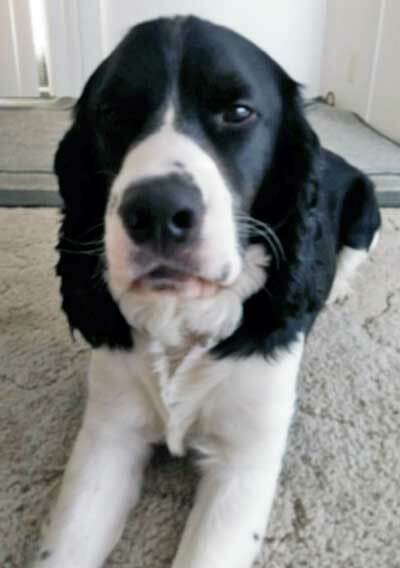 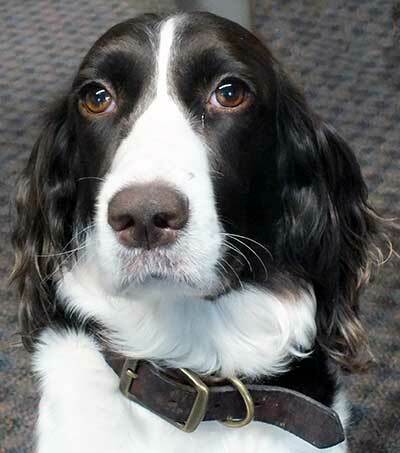 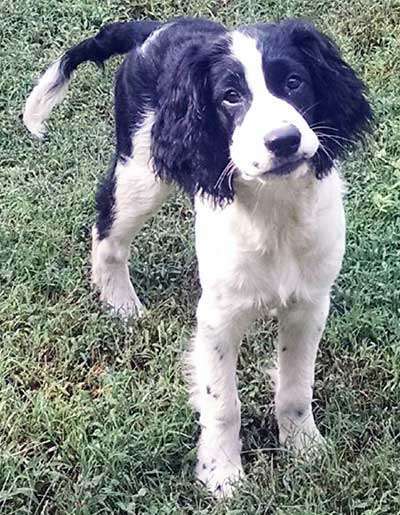 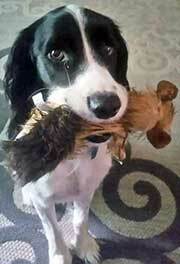 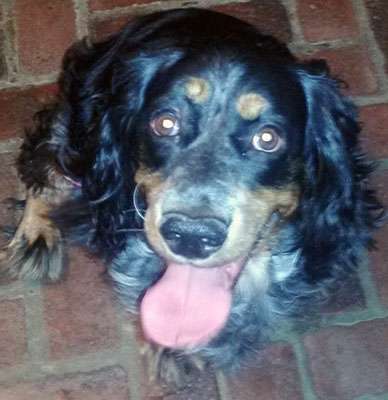 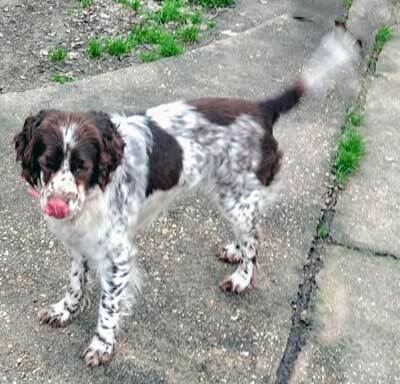 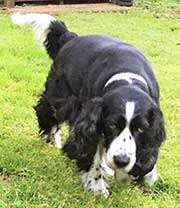 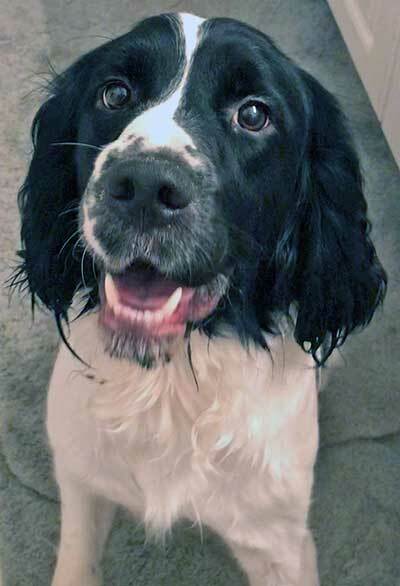 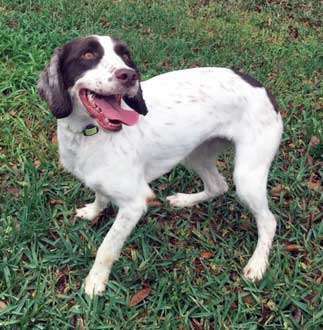 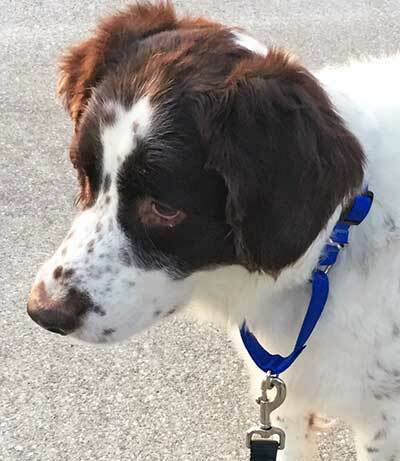 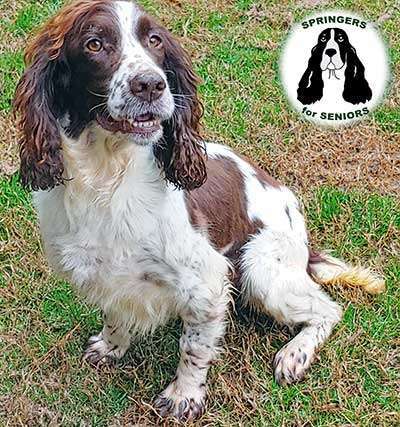 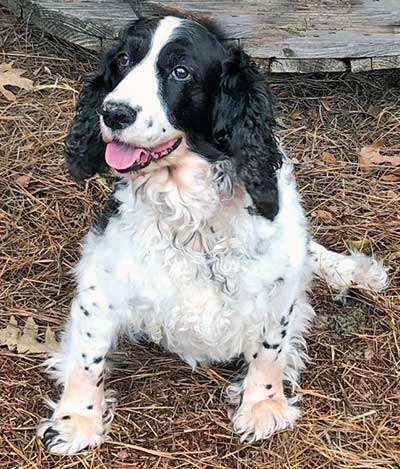 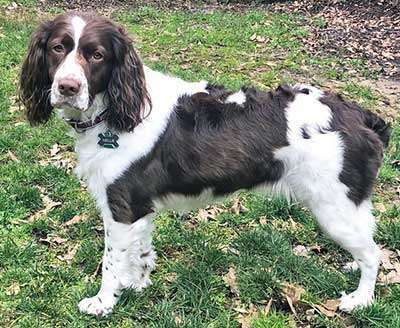 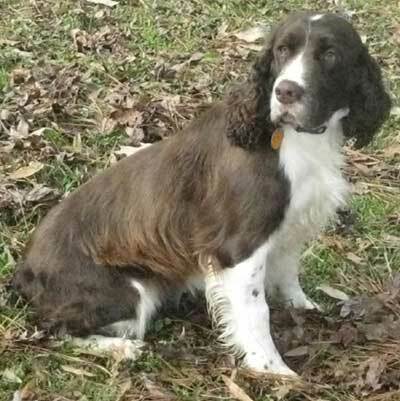 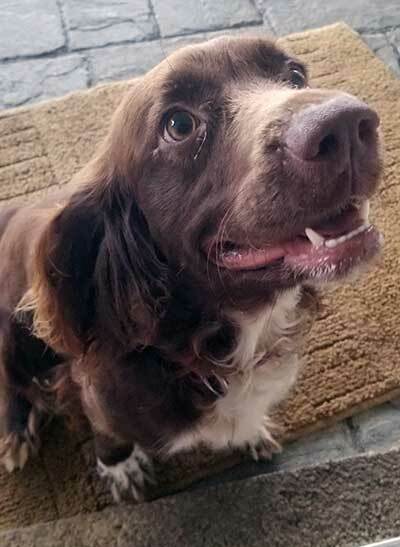 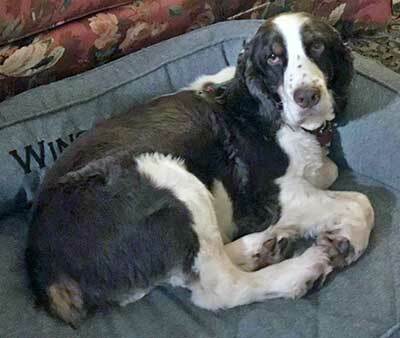 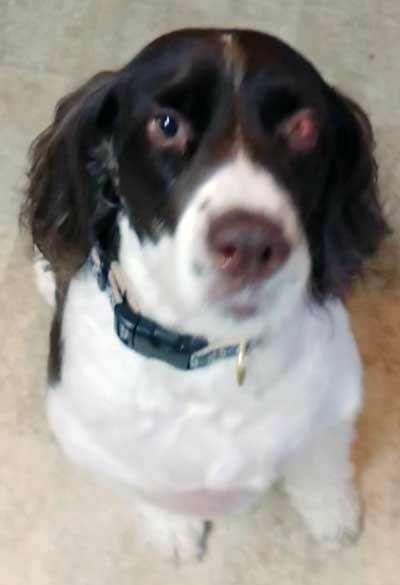 English Springer Rescue America’s mission is threefold: rescue, rehabilitate and rehome. 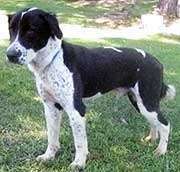 Cyrus is a perfect example of these efforts. 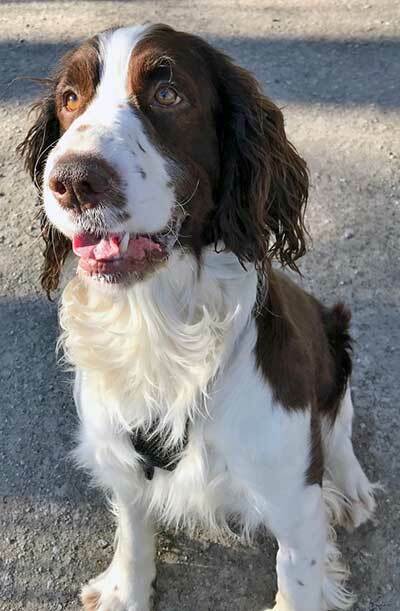 This active and affectionate girl would thrive in a a kid-free, dog-free, cat-free home with plenty of exercise and human companionship. 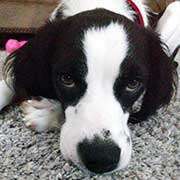 One-year-old Charlie isvery goofy and very SWEET, and in perfect health. 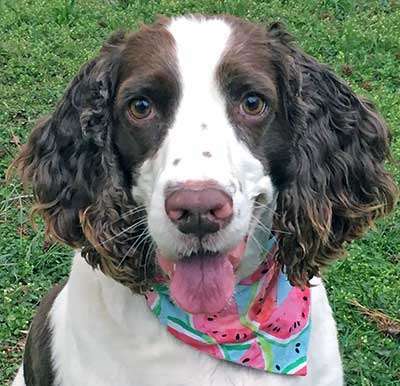 There are currently no dogs available in AL, AR, KY, TN. 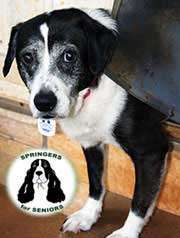 These dogs have been matched with their adopters!